Our gas central heating engineers are fully qualified and experienced, ready to deal with any situation. If you own a property without central heating or would like to upgrade an old central heating system, we can provide you with a free estimate and recommend the best boiler and central heating system design to suit your property. We pride ourselves on our high quality workmanship and aim to deliver the best service at affordable prices. 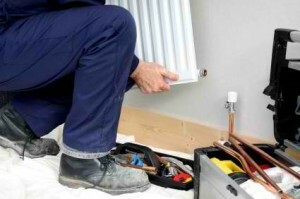 We are highly skilled and experienced in central heating installation work meaning we can provide accurate quotes and carry out the work fast and easily. All of our estimates and quotations are completely free of charge so if you are interested in talking to us further about a central heating installation, please Contact Us today. Over time central heating systems can begin to perform poorly or develop more serious problems. 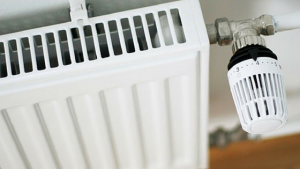 Luckily, there are a host of potential solutions to bring your existing central heating system back up to date and restore it to proper working order. Upgrading your system will extend the lifespan of your central heating system components certainly saving you money in the long run and increasing reliability. If you’re experiencing problems with any part of your central heating system we can diagnose and repair the problem quickly, efficiently and as affordably as possible. If you’re unsure what the problem is we can take a look for you and advise you on the best course of action. All of our estimates and quotations are completely free of charge so if you are interested in talking to us further about a central heating upgrade Contact Us today. Within a central heating system a chemical process called electrolysis can occur between the different types of metals found throughout the system, a by product of this process is magnetite oxide sediment and sludge. Although you can’t see the problem the tell tale signs will be cold spots on your radiators, slow heating up times and poor central heating and boiler performance. 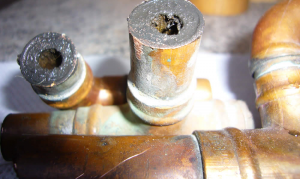 This is due to the fact that the build up of magnetite sediment and sludge within the pipe-work, boiler, pump and radiators will restrict heating water circulation, seriously reducing central heating and boiler efficiency. If you think your central heating system or boiler may be in need of a power flush then we can help. We can come out to assess the situation and give our professional recommendation.